Day 276. 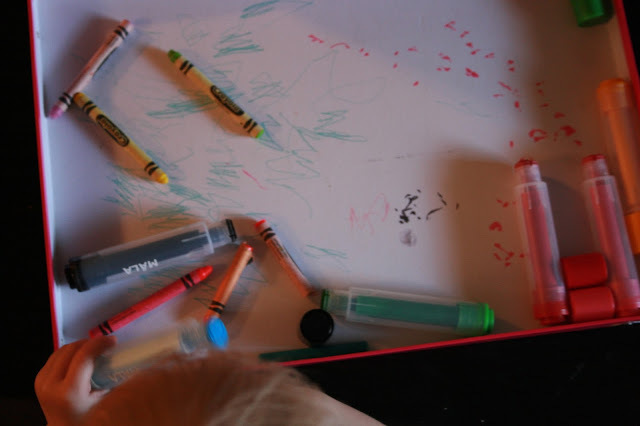 I was going through Bug's baby box when she had the really good idea of colouring the inside part of the lid. At first I was hesitant, but I thought, what another treasure, memento, it would be in years to come. To see her doodles, her art on the lid of the box. Day 277. Bug and I went outside for a "late" night walk and we stumbled upon this beautiful sunrise. Day 278. Today Bug discovered that she does not like the fact that the leaves are falling from the trees. I agree, although I do think its quite pretty. Day 279. It was cold today, but our view was lovely. Day 280. 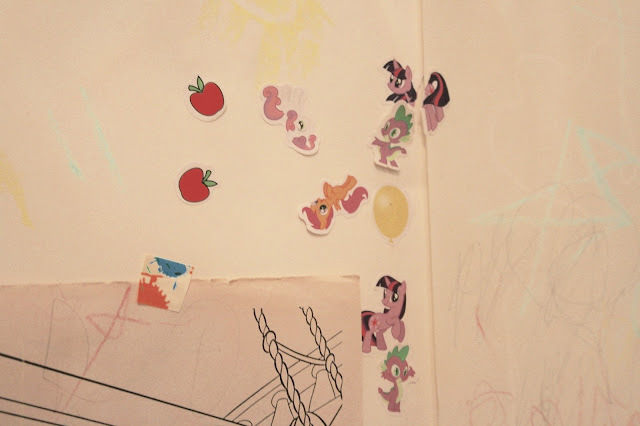 Somebunny got My Little Pony stickers and has been absolutely loving sticking them on her art wall! Day 281. We went to Japanese Village for the very first time today. It was amazing. 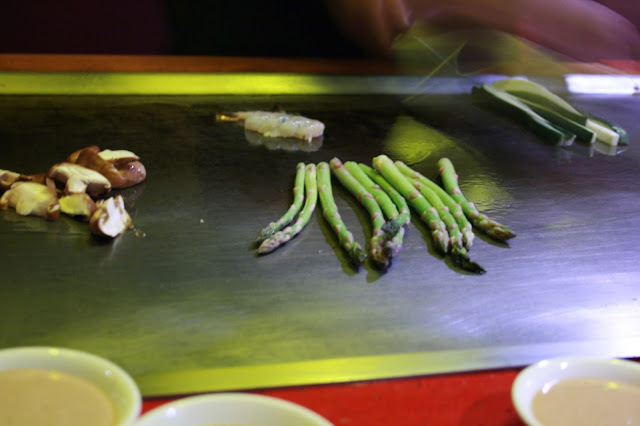 The food was absolutely delicious and the service was great! Day 282. 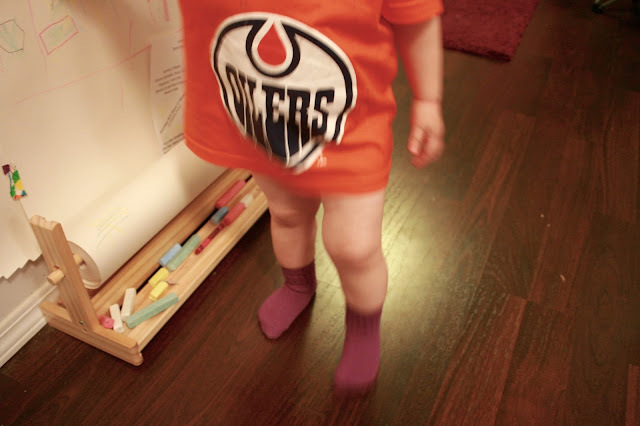 Bug sporting her new Oilers shirt. We are very excited for this Hockey season! Go Oilers Go!